We love hot chocolate around here, most often with the typical marshmallow topping, but every once in a while I go a little crazy and try something new… I think we found a winner! Presidents Choice Candy Cane Ice Cream is my Christmas weakness. Really how can you go wrong with candy canes, ice cream, and huge pieces of chocolate fudge, all mixed into one heavenly tub? So while sipping on a tasty hot chocolate I thought why hasn’t anyone combined these two together… and the Hot Chocolate Candy Cane Float was born! Typically by the time we add enough milk to cool it down, the hot chocolate I serve my children is 3 parts milk to one part hot chocolate, they may as well have a glass of Chocolate milk. 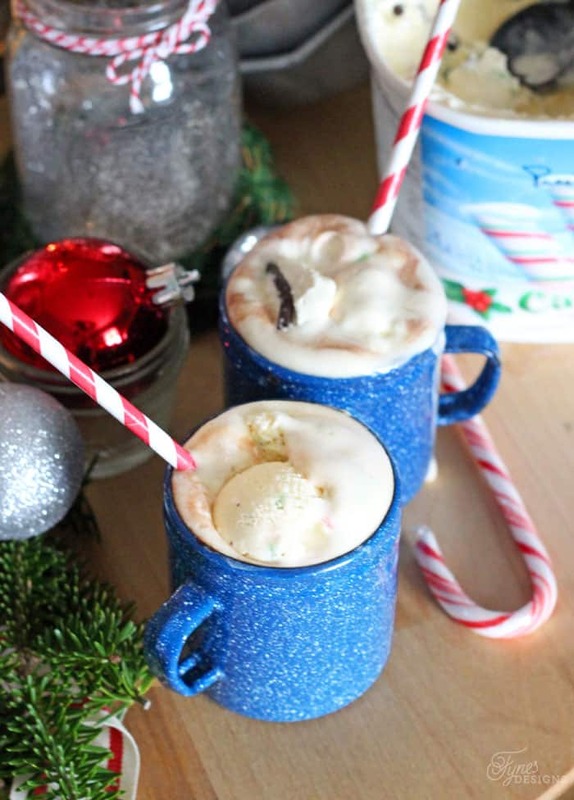 The hot chocolate candy cane float is the perfect solution for kids and too hot beverages. 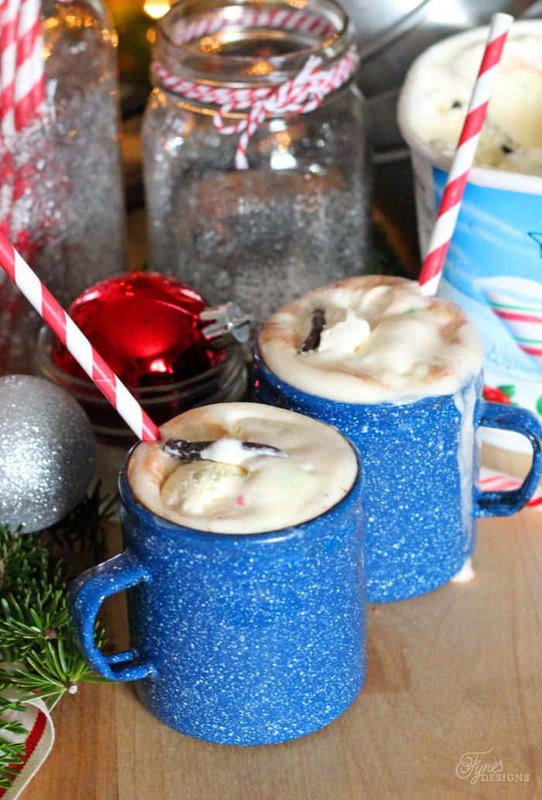 Plus it makes it so rich and creamy with a hint of candy cane! It’s like a Christmas party in your mouth! Mix up your favourite hot chocolate, pour into mugs filling the cup 3/4 full. 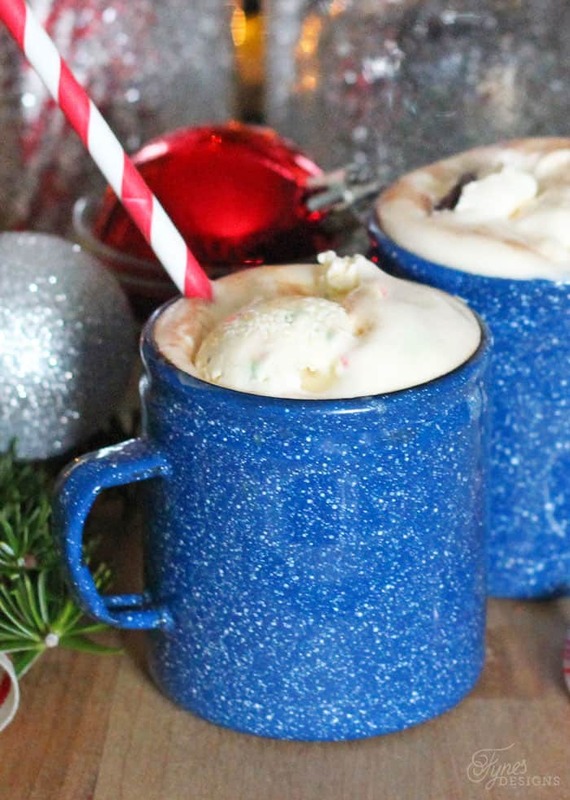 Dip one scoop of Presidents Choice Candy Cane Ice Cream into each mug, and serve immediately! Perfect treat on a chilly winter day, or any day that ends in ‘y’! So delicious and to my surprise it takes the scoop of ice cream a little bit to melt, much slower than whip cream! I hope you give this yummy hot chocolate idea a try, I guarantee you won’t be disappointed!